Date: May - June 2004. 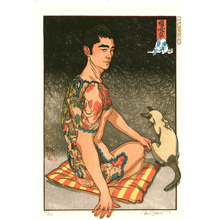 Editor's Pick: Tattoos in Japanese Prints The best book for understanding depicitions of tattoos in Japanese prints. Editor's Pick: Paul Binnie - A Dialogue with the Past: The First 100 Japanese Prints The best book for learning about the print artist Paul Binnie.